GPSMAP 64 features a brilliant 2,6’’ sunlight-readable colour screen and easy operation with any kind of gloves in a shaky, cold or wet environment because it relies on a button based user interface. Go further with GPSMAP 64's long-lasting 16 hour battery life. Works with 2 AA batteries or the the optional NiMH battery pack, which as an added bonus, can be charged while inside the device. 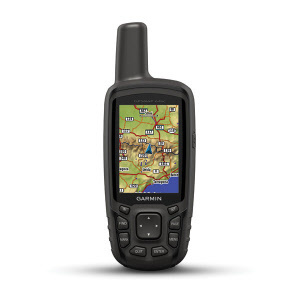 GPSMAP 64 gives you more flexibility with a 3.5 GB internal memory which gives you plenty of space for waypoints, routes, tracks and caches and a microSD card slot for additional mapping. With its microSD™ card slot and large internal memory, GPSMAP 64 lets you load a variety of maps, including GB Discoverer, BlueChart® g2, City Navigator NT® and BirdsEye™ Satellite Imagery (subscription required). Available as a bundle with the "GB Discoverer 1:50k" Ordnance Survey maps for Great Britain on microSD™ card or preloaded with TOPO UK & Ireland Light map. Select option from the "Version" drop-down box at the top of the page.